Santa Rosa is the main city in California's wine country, so it's not surprising that the hills are alive with the sound of rustling grapes and tinkling glasses. The only hitch: after touring the 10 wineries below, you might need a designated driver on the way home. Siduri is located in a warehouse in the industrial area of Santa Rosa, which isn't exactly your most sumptuous setting. But appearances aren't everything, especially when it comes to the winery's Pinot Noir selections, which are widely considered among the finest in the nation. Another enticement: Siduri co-houses with Novy Family Wines, whose name means "new" in Czech, and whose stellar Syrahs are not to be missed. Checkmate! A little treasure just off the Olivet Road strip, Pellegrini started out as a plum and apple orchard in 1973, and now makes some of the tastiest Chardonnay and Pinot Noir in the area. The stunning drive up to the winery takes you through more than 70 acres of vineyards, and sumptuous cheeses and other gourmet samples paired with the labels tastiest await you at the top. Also to be found on Olivet Road: the family-owned Sunce Winery, which not only offers affordable prices but, between the blind tasting games and bocce ball court, also promises plenty of fun. The KJ Wine Estate & Garden bills itself as the ultimate wine, food and farm-to-table destination in Sonoma County, and they may not be too far off. Not only are they producers of the number one Chardonnay in the country, but they own more than 12,000 acres of vineyards, promote a labor-intensive process to create better wine texture and complexity and enjoy a partnership with a stave mill in France and cooperative in the United States to maintain the quality of their oak barrels. The center offers a variety of paired tastings and daily tours of their expansive culinary gardens, including a dazzling viticulture demonstration of some 30 grape varietals and 60 different types of tomatoes, and sponsors an Heirloom Tomato Festival at the end of every summer. Purchased by the giant Kendall-Jackson wine estates in 2000, Matanzas Creek continues to produce excellent Sauvignon Blanc, Chardonnay, and Merlot. A picture-perfect setting in Bennett Valley, it boasts six theme gardens, including a fragrant acre of lavender that supplies the flowers for the winery’s bath and beauty products. St. Francis is a beautifully situated, Mission-style winery in Sonoma Valley, which offers three levels of tastings, excellent Bordeaux blends and Zinfandels, and, thanks to their 2-acre estate garden, popular farm-to-table food-and-wine-pairings where everything's coming up artisan pizza and, well, rosé. Another architectural marvel, Ledson’s 16,000-square-foot French Normandy castle is only an hour's drive north of San Francisco, and its fairy-tale features call for an unmistakable Kodak moment. But it's their outstanding Sauvignon Blanc, Zinfandel, and other handcrafted wines, not to mention a gourmet market, offering jams, tapenades, and artisan cheese, that makes it a great place to stop and shop. The Ballettos may be the newbies on the block, but after they converted their vegetable land to vineyard plantings in 1999 (blame it all on a series of disastrous El Niño storms), their 600 acres in the Russian River Valley gave rise to their popularly priced Pinot Noir, Pinot Gris, Chardonnay, and an award-winning Zinfandel. In 2006, a tasting room was added to the mix, and if you happen to find a photo op straight out of Field of Dreams on one of their scenic tours, you won't be the first. Located in Sebastopol, about 6½ miles from Santa Rosa, Dutton-Goldfield’s wines are not cheap, but their fruit is sourced from the best vineyards, and their label sells out fast. Cold-climate Pinot Noir and Chardonnay are the vintners' mainstays, but if you want to order up a glass of hillside Syrah or old-vine Zinfandel, they'll hardly turn you away. 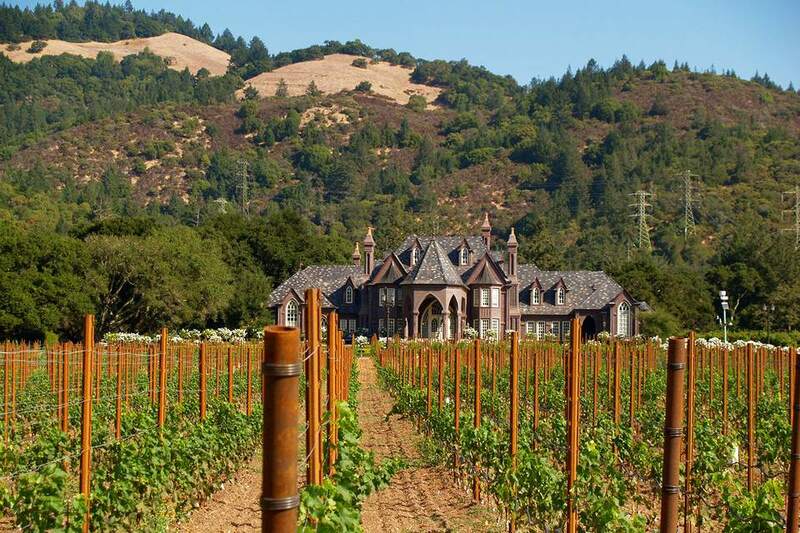 DeLoach has seen a lot of changes over the past few years, including the vineyard's sale in 2003 to the Boisset family from Burgundy, France. But with the infusion of new brands, like their first biodynamic and organic wines, the company's offerings have never been better. Don’t miss their Sauvignon Blanc, Chardonnay or Pinot Noir. Since many of the specialties are not sold outside the estate, a personal visit is a must.